ROME - In power for two years, Italian Prime Minister Matteo Renzi has initiated many reforms aimed at invigorating the anemic economy, including his flagship overhaul of the constitution, which was approved by parliament this past week. But the woes of a major infrastructure project right under his feet reveal how much still must be done to get Italy back on track. Rome’s Metro C was meant to link the city’s two main cathedrals in time for the Holy Year in 2000. Sixteen years later, the underground line has not yet reached the first church and might never make it to the second, St. Peter’s Basilica. While the initial section of the state-of-the-art driverless network was finally inaugurated in 2014, no one knows where the underground line will end or when the next station might open. The state of confusion reflects similar problems besetting myriad business projects in the eurozone’s third-largest economy, where bureaucracy and tangled laws are dragging down development despite Renzi’s reform drive. 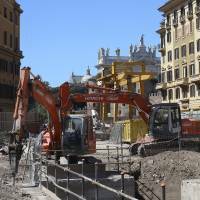 “All of the problems, vices and defects of Italian public works are evident in this one project,” said Luigi Giampaolino, head of the National Audit Court between 2010 and 2013, when it launched an initial investigation into early cost overruns. The builders say that in seven years they have had to make 45 major changes to the original plans because of demands from the state, city and region, which fund the project, taking into account everything from new safety standards to archaeological finds that were uncovered by their work. Renzi his introduced a welter of changes that he says will get Italy back on its feet, including constitutional reform that strips the Senate of much of its powers — a move aimed at boosting political stability and ending an era of revolving-door governments that has snarled decision-making. The government has also introduced a series of measures aimed at simplifying the legal system and regulatory landscape to help speed up major business projects. As an example, it points to the upgrading of a 294-kilometer (183-mile) stretch of highway in southern Italy that was meant to be ready by 2003 and is now set for completion in December. “The government is here to do things that were not done before. We are here to unblock projects,” Renzi said this month. But Metro C remains mired, hobbled in part by a string of corruption scandals at city hall. The municipality is now in special administration, with limited decision-making ability. In the original plan, Metro C was to cross Rome through 38 stops from east to north, carrying up to 600,000 passengers a day through the heart of the old city. At present, 21 stations far from the center are open, carrying just 50,000 people a day. Financing has been secured for three more stops, including at St. John Lateran Basilica — the first cathedral — and the Colosseum. But expectations that the line would reach far beyond the tourist-drenched Vatican into northern Rome might never be fulfilled, with both the state and the city struggling to balance limited resources and huge debts. 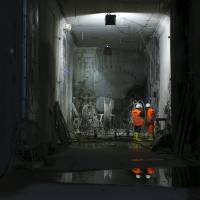 Work on the section leading to the Vatican has been frozen since 2010, and questions are being raised about why Rome chose such a major, heavy-duty metro system in the first place. 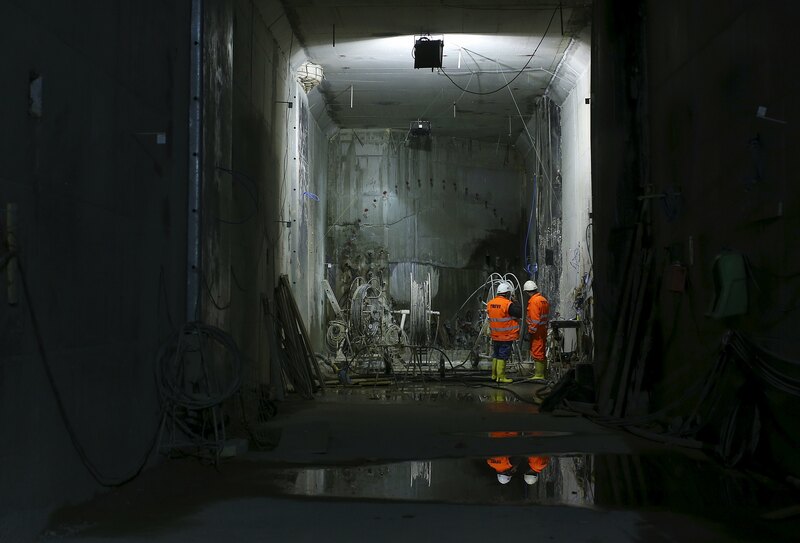 “If we don’t follow this work through to the other side of Rome and have the passenger flows that we expected, then what we have built so far is over the top,” said Paolo Omodeo Sale, chairman of Rome Metropolitan, which oversees the metro network. Building the initial 24 stations to the Colosseum was originally priced at €2.23 billion ($2.54 billion), but after a welter of design changes the figure is now put at €2.97 billion ($3.38 billion) — too much, according to the audit court. It has ordered 11 people tied to the project to stand trial in June over what it says was a waste of €270 million ($308 million) of public money. The defendants deny the accusations. 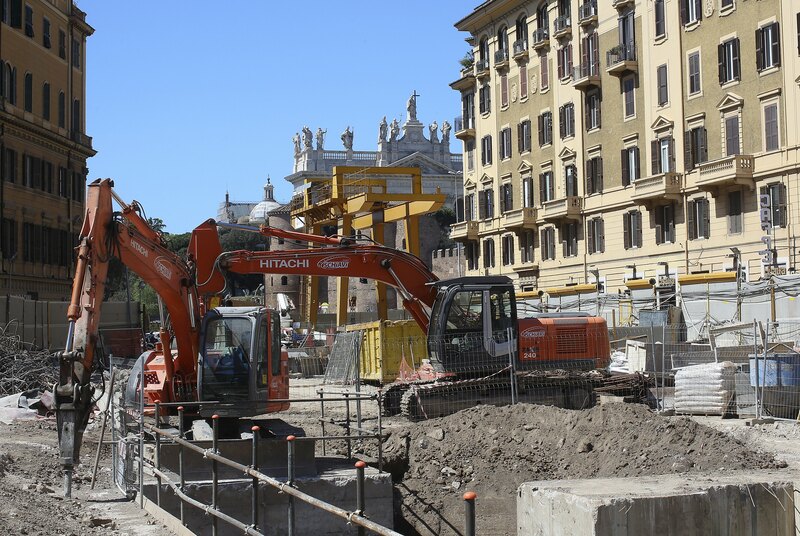 As the lawyers get to work, construction inches forward beneath the ground, with builders threading cables along the platform of St. John Lateran, the next station slated to open. Consortium chief Giannelli says the station is 97 percent ready, but he does not expect it to operate until the end of next year because the authorities are struggling to address new safety demands that might upend the current design. “It is madness,” he said.